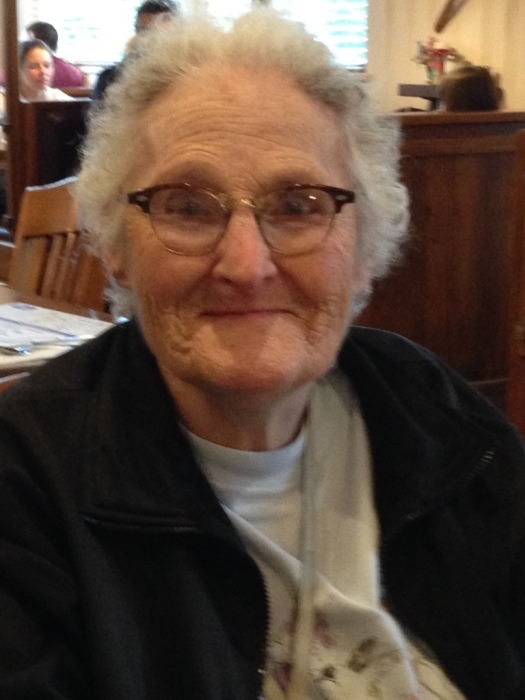 Mary T. Considine of Craryville, NY, passed away as she desired: peacefully, in her own home, “in my own bed, in my own room,” with family by her side, on Sunday, January 27, 2019. She was 90 years old. Born on September 11, 1928, to Mary and Michael Considine, Mary was the first of four children. She was raised in the Bronx with her beloved sister, Winifred, and her two brothers, Jimmy and Stephen. She attended the Parish School at Holy Rosary, taught by the Sisters of the Presentation of St. Joseph; she maintained a lifelong connection with that order, always supporting their work. As a teenager, Mary and her family moved to the Woodlawn section of the Bronx, where she attended high school at St. Barnabas, and later worked for New York Telephone & Telegraph (“Ma Bell” ). During this chapter of her life, Mary was an avid bowler, and a non-stop crocheter. She traveled to her family’s homeland of Ireland and maintained close connections to her relatives there and to cousins in the States. Mary was very involved in St. Barnabas church, and loved being a Godparent to her nieces Mary Frances (Ryan) and Kathryn (McGowan). She so identified with being an Aunt to her Goddaughters, as well as to their siblings and cousins Steven and Bill, Michael and Sean, and Michael, Maureen and Jimmy, that her way of introducing herself throughout her life was often “Aunt Mary,” regardless to whom she was speaking. Mary attended countless graduations, recitals, baptisms and weddings of all her family. On weekends, Mary ventured to Columbia County to her parents’ home in Hillsdale, beginning a life long love of that community and the Parish of St. Bridget, now Our Lady of Hope. In these early days, Mary was most often accompanied for her weekends in the country by a pair of nieces/nephews, and always by her pet dog — Midnight at first and then Sparky, and her pet birds. Mary retired young and moved full time to her home in 1979, accompanied by her mother. Here she became increasingly involved in her church, over the years becoming a catechist, a Daughter of St. Bridget, a member of the Knitting Club, and working on the Peace Garden, to name just a few of her ventures. After nurturing her mother at home through an illness to her death, Mary became a professional home health aide for St. Peter’s through Catholic Charities, and cared for many people in her community. Mary could not venture anywhere into the community for the remainder of her life without someone stopping her and saying, “I remember you! You took care of my Grandmother when she got sick! Thank you so much for that.” She gave comfort and spiritual support, as well as the very practical and important relief to many clients of knowing their dogs would be adopted and loved should they no longer be able to take care of them. She welcomed Freddy and Snoopy, another Midnight, and many other furry friends. Mary was unique. She was funny, and full of quirky expressions, creative language, and a set of sayings (“AuntMary-isms”), that kept people around her in stitches . . . right to the very end. She loved her country, and her Irish heritage, (“I am AMERICAN, of Irish descent,”), gardening, her favorite team (Notre Dame), and her black coffee . . . strong coffee . . .. She loved her faith, her family, her community, and — of course — her dogs. And she really loved her home. Whether Mary ventured out for a weekend away, or a ten minute ride to get her mail from the Post Office, she would always walk into her house and say, “Ah, it’s good to be home,” as if she had been away an eternity. Mary enjoyed the support of so many people in her community who rallied around her increasingly over the years as she slowly reduced and ultimately gave up her driving and therefore her ability to get to the grocery store, to activities, and most importantly for her, to Mass. Friends and neighbors, parishioners and priests, loving doctors and home health aides all were instrumental in making sure Mary was able to stay in her own home, where she wanted to be. Even as Mary was accepting the support of those around her, she continued to support the many, many charities that were close to her heart. Mary was predeceased by her parents, Mary and Michael, her sister Winifred and brother in law James Ryan, and her brother Stephen and sister in law, Noreen Owens Considine. She is survived by her brother James of Woodlawn in the Bronx and her sister in law Janice of Delaware. Aunt Mary is also survived by her nieces and nephews: Mary Francis Howley, her husband David and their daughter Caitlin of New Jersey; Michael Ryan, his wife Theresa and their children, Michael, Christopher and Heather of New Jersey; Sean Ryan, his wife Lisa and their children Patrick and Joshua of Virginia; William (Bill) Considine; Stephen Considine, Jr., his wife Maureen and their children Nicholas and Paige; Michael Considine, his wife Maureen and their children Kevin, Colleen, Matthew, Catherine and Elizabeth of Connecticut; Kathryn McGowan, her husband John and their children James, Maeve and Caelyn of New York; Maureen Considine and John Kelly of Massachusetts; James Considine and his wife Lisa of California; and her beloved dog, Thunder . . . of Craryville, NY. Friends are invited and may call at the Peck & Peck Funeral Home in Copake on Friday, February 1 from 4 – 8 PM and on Saturday February 2 from 9 – 10 AM. 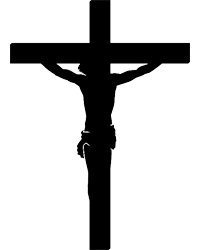 A Mass of Christian Burial will be celebrated from Our Lady of Hope, Copake Falls on Saturday, February 2, 10:30 AM. Interment will be in Gate of Heaven Cemetery, Valhalla, Monday, February 4 at 9:30 am. To send an online condolence please visit www.peckandpeck.net.